The tripod system combines three different ownership forms in one building. After a team11 workshop in April 2011, Britta and I developed a model for property development that explores the potential of mixing ownership structures to create a social mix within a single building. In this development model the land is leased from the city at below market rates. In exchange for this, the premium paid by the condominium Baugruppe on the top floors supports a reduced rent for municipal space on the lower floors. A rental based co-operative (Genossenschaft) uses the middle floors. Because the city maintains ownership of the land, it can specify the societal and programmatic mix to meet changing demographic demands over time. Rents can be reduced further if a state bank (IBB) finances the project with a low interest rate loan. The model achieves a reduction of up to 60% for one third of the building, the rest of the space is rented or sold at market rates. The project started as an economic solution for developing a difficult site proposed to team11 in March 2011 by Hr. Gothe. At that time he was Mitte's Councillor for Urban Development, and interested in finding new approaches to affordable housing. The model aims to leverage the strengths of the building co-operative (Baugruppen) model, with the goal of creating affordable housing without direct government subsidies. We presented the model publicly at Günstig Wohnen in Berlin, a Team11 event we organized shortly before the Berlin election in September 2011. We have yet to test the model in a building, but believe that it has a lot of potential to change the way cities are developed. Other members of team11 are already working on adapting this model for different purposes. 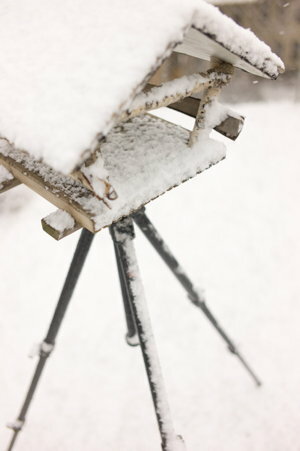 In November 2011 ifau proposed a modified version of the tripod system for a project in Kreuzberg, and Die Zusammenarbeiter are working on an adaptation of it for a proposal in Wedding. Please contact us should you want further information.